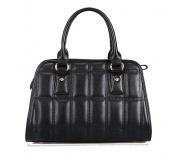 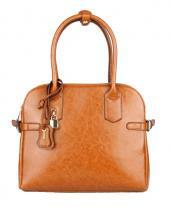 The Justinerz shoulder bag is exquisitely made with classic soft oil tanned genuine leather. 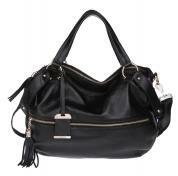 It features spacious interior and is appropriately lined up with smooth silky fabric which offers much added durability and protection to be used for longer period. 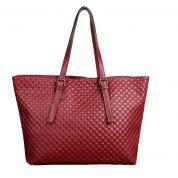 The model comes in different texture ranging from lighter to darker. The bag follows a unique style like a shopping bag design featuring contrasting lean belts and tote handles at the top. 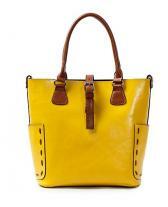 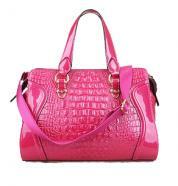 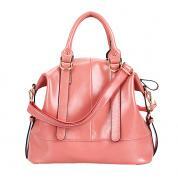 The model can be used as a shoulder bag and cross body bag as it comes with convenient detachable straps.